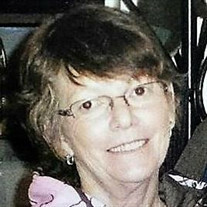 Jackie Lynn "Gaga" Brophy, age 64 of Adams, died Friday, November 30, 2018 at her home. Funeral services will be conducted Tuesday, December 4, 2018 at 3:00 PM in the Oakhurst Chapel of Robertson County Funeral Home. The family will receive friends Tuesday from 12 noon until the hour of service. Following the service her remains will be cremated.